It was a hard decision, however time has come, and my beloved Evo is up for sale. the car was originally Clutz's (Dre) old evo and I've owed it for the last 6-7 years. evo 3 motor and gbox. evo 3 brake subframe and drive line. besides a hks turboback exhaust and a evo 8mr bov, the car is fairly stock. a lot of interior plastic bits and piece. I have all recepts of the work done. 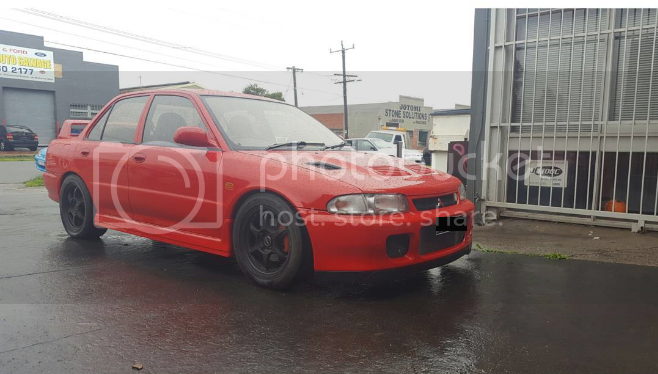 -car needs rear engine mount replaced as you need to double clutch to put into 5th gear. for pictures, pleased sms me on 0459 778 808 as I don't have pictures on my computer. not looking to part out the spare parts. Reason for selling is that I can no longer afford multiple cars. I have also posted my other cars up for sale, and which ever car I am left with, I will be keeping. This car is only being advertised on this website due to wanting the car to go to a good home. I'm sure I've missed more details, but that's the best I can do at work. Thanks for reading, Regards Robert. Edited by p3akin, 29 August 2017 - 12:25 AM. old picture added. will try and add more recent pictures this weekend. This still up for sale? What about the spare parts? "not looking to part out the spare parts"
Not sure if you missed that bit or not. Edited by evo-gsr, 22 January 2018 - 09:24 AM. still for sale, but in no rush. prefer to sell all parts with the car or in case i do keep the car. i would like spares in case something happens to the car.